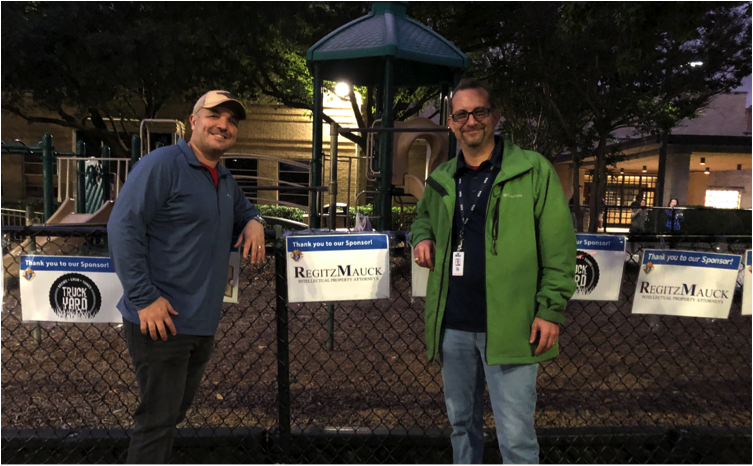 November 7, 2018, RegitzMauck Press Release. 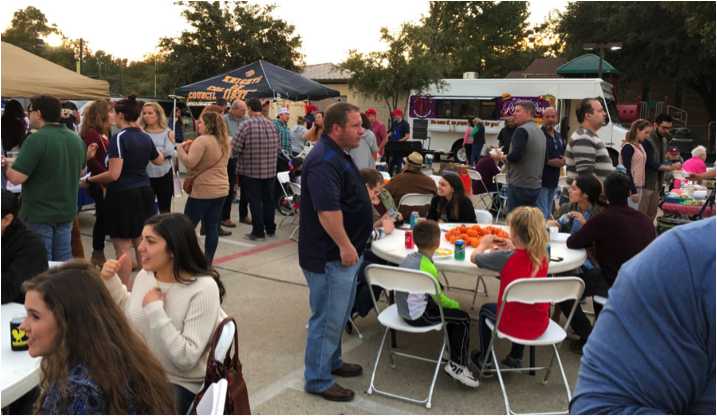 RegitzMauck was a Gold Sponsor of the Knights of Columbus Fall Food Festival and Chili Cook-off at St. Thomas Aquinas Catholic Church on November 4, 2018. 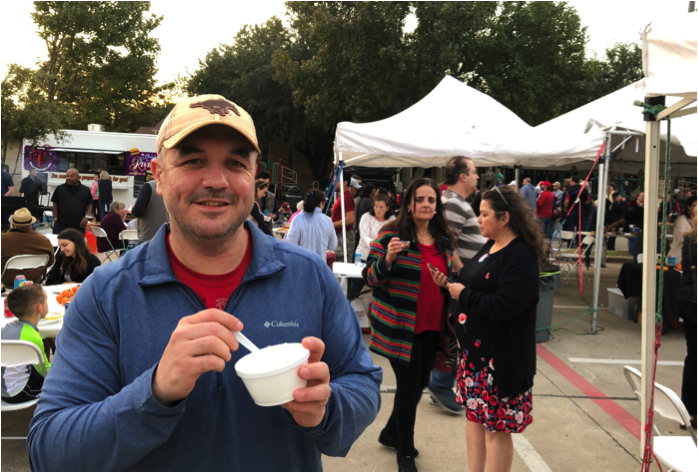 All proceeds from the event went to the Society of St. Vincent de Paul, an international, charitable organization of the Catholic Church, founded in 1833 for the sanctification of its members by personal service of the poor. Contestants competed in four categories: Meats (The Carnivore Group), Sides (The Vegetarian Group), Chili (The Die Hard Group), and Desserts (The Sweets Group). Mike and Dustin sampled just about everything between them. The first St. Vincent de Paul Society conference in the United States was established in 1845 in St. Louis, Missouri, at the Cathedral Basilica of St. Louis. 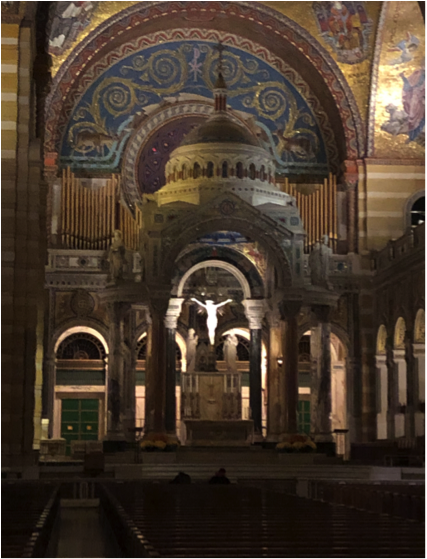 Coincidentally, Mike and Dustin just happened to be at the Basilica two days before the Fall Food Festival for the Gateway to Cyber City Conference in St. Louis, where Mike participated in a cyber insurance panel. The Knights of Columbus is the world’s largest Catholic fraternal service organization. Founded by Father Michael J. McGivney in 1882, the Knights of Columbus is now comprised of 1.9 million members across the globe, and its charitable activities encompass an almost infinite variety of local, national, and international projects. The Society of St. Vincent de Paul is a Catholic international network of charity that serves poor, isolated, or marginalized people. The Society is present on all five continents and has 800,000 active members and over one million volunteers. Volunteers from the Society, also known as “Vincentians,” go out to meet lonely and deprived people where they live: at home, in the street, in shelters, in hospitals, or in prison. In all their actions, Vincentians seek to bear witness to our Lord Jesus Christ, who gazes at each one with love and mercy.